It is important for all medical professionals to have a better understanding of their licensing board and the process for licensure appeals. The Georgia Composite Medical Board (“Board”) governs licensure for physicians, physician’s assistants, pain management clinics, clinical perfusionists, acupuncturists, orthotists and prosthetists, respiratory care professionals, and laser practitioners. The Board also regulates provisional, teacher, institutional, and administrative medical licenses. The Board consists of thirteen physicians, two consumer members, and one physician assistant (PA) ex-officio member. 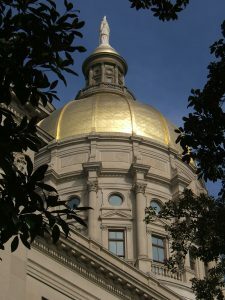 Beyond licensure, the Board, in compliance with state law, also promulgates rules and regulations that govern the practice of medicine in Georgia. In order to stay in compliance with federal Antitrust laws (see NC State Board of Dental Examiners v. FTC), these rules are passed in accordance to legal advice received from the Attorney General’s Board representative and the rules are also subject to the Governor’s executive oversight of all licensing boards (HB 952). All proposed rules are also open to public comment and the Board encourages interested parties to come to the open portions of their monthly Board meetings to listen and comment if desired. There are many reasons that a medical professional may find themselves without an active license, including disciplinary action or simply failure to renew their license on time. Professionals are able to renew their license, apply for a new license, apply for reinstatement of a lapsed license and more online on the Board’s website. If a medical professional’s license has lapsed, it is unlawful for them to continue to practice and they must submit a reinstatement form and be approved before resuming. The Board is authorized to deny, revoke, suspend, fine, reprimand, or otherwise limit the license of the medical professionals they govern (Rule 360-3-.01). State law authorizes the Board to take disciplinary action against licensees for “unprofessional conduct” which is defined in Rule 360-3-.02 and includes, for example, certain prescribing practices, misconduct towards a patient, practicing medicine while mentally, physically, or chemically impaired, and not maintaining patient records properly. If a physician or other medical professional feels that they have been unjustly denied a license by the Board, there is an administrative process that can be utilized for all appeals. While the appeals process does not require an attorney to represent the medical professional’s interests, it is highly recommended that the physician acquire legal assistance to ensure that their filings are accurate and timely. After an appeal is filed with the Board, the hearing will be commenced with the filing of a notice of hearing sent to the appellant. A notice of hearing will contain: a title, the name of the agency, a short statement regarding the nature of the pleading, a short statement of the matters asserted, a clear and concise statement of the laws involved, the rights of the appellant, a statement that an answer to the matters asserted is required, and any additional information deemed appropriate by the agency. The appellant must file an answer with the Board within fourteen days after service of the notice of hearing. All allegations contained in the notice or hearing which are not specifically admitted are deemed denied. Any pleadings may be amended up to eight days before the date of the hearing without leave of the Board. A list of all witness names and contact information must be shared with all parties at least ten days before the hearing. The actual hearing is conducted by a hearing officer appointed by the Board or an administrative law judge appointed by Office of State Administrative Hearings (OSAH). After the initial decision is entered by the hearing officer, either party may seek review by filing a timely motion for review. The motion must include the reasons for seeking review and the alleged errors made by the hearing officer. Once the review hearing is concluded, the Board deliberates and votes on a final decision which is announced in open session unless deemed confidential by statute. If the appellant is not satisfied with the Board’s final decision, an appeal may be filed in accordance with the Georgia Administrative Procedure Act and must be filed in the superior court of Fulton County, the court of the domicile of the Board. As a medical professional’s licensure rests in the hands of their licensing board, it is highly recommended that all legal interactions with the Board be entered into with an experienced attorney to help navigate the complex legal process. If you have questions regarding this blog post, a licensure issue or dispute, you may contact us at (404) 685-1662 (Atlanta office), (706) 722-7886 (Augusta office), or info@hamillittle.com.